HP StoreVirtual VSA, based on the LeftHand OS, helps customers gain the benefits of a fully-featured array without dedicated external storage. Most virtualized server environments require shared storage for high availability, as well as application data, and storage solutions should be as highly available as the VMs. With a comprehensive feature set, StoreVirtual VSA is optimized for virtual environments and is a flexible shared storage solution that scales as needed. The ability to use existing server, DAS and SAN hardware within your environment greatly increases storage utilization, and reduces costs associated with dedicated external storage. Built-in high availability and disaster recovery features enhance server virtualization capabilities to deliver better business continuity. Straightforward and simple administration is provided by a management console that allows the administrator to manage all LeftHand OS nodes, physical and virtual, regardless of their physical location. Use capacity you already own to deploy new applications. Non-disruptive data mobility across servers, hypervisors, sites, and between virtual and physical storage platforms. Dramatically reduce power, cooling, and floor space requirements. Who can benefit from HP StoreVirtual VSA? Small and midsize businesses. Reduce complexity and cost by co-locating virtualized applications and shared storage. Independent public cloud providers. Deliver new cloud and managed services by pairing StoreVirtual VSA with modular building blocks. Enterprises. Centralize operations and improve resiliency by replicating data from virtualized remote offices into large enterprise datacenters. Transform the internal storage of your vSphere and Hyper-V servers into fully featured shared storage for applications and virtual environments. HP StoreVirtual VSA delivers the scalability and high-availability of the LeftHand arrays to the S of the SMB. Extend the life of your existing servers by virtualizing your environment and using StoreVirtual VSA to convert your server resources into a new tier of storage, or even storage for your testing sandbox. Use StoreVirtual VSA with solid-state drives (SSDs) in your ProLiant servers and blades to provide a high performance tier for your storage environment. Data volumes that reside on SSD nodes can be migrated to and from both physical and virtual LeftHand-based clusters, online. HP P4500 Virtualization SAN and Multi-site SAN each include VSA licenses at no extra charge. Now you can provide the dedicated performance required for your main site, and provide fully featured shared storage and disaster recovery for your smaller sites. Start small and grow big: Avoid up front storage costs by using VSA on existing disk storage today; then move to a physical LeftHand array as your storage needs evolve. StoreVirtual VSA seamlessly migrates all data to any LeftHand array with Peer Motion functionality. Scale-out storage clustering allows the consolidation of multiple virtual storage nodes into pools of shared storage. All available capacity and performance is aggregated and accessible to every volume in the cluster. As storage needs increase StoreVirtual VSA can scale out while remaining online. Network RAID stripes and protects multiple copies of data across a cluster of storage nodes, eliminating any single point of failure in the StoreVirtual VSA array. Applications have continuous data availability in the event of a disk, controller, storage node, power, network, or site failure. Multi-site SAN availability gives the StoreVirtual VSA the ability to assign storage nodes in the cluster to different sites (racks, rooms, buildings, and cities) and provide seamless application high availability with transparent failover/failback across sites—all automatically. Reservationless snapshots & thin provisioning allocate space only as data is written without requiring pre-allocation of storage, raising the overall utilization and efficiency of LeftHand-based arrays. Snapshots create thinly provisioned, instant point-in-time backups of data on a per-volume basis. StoreVirtual VSA is tightly integrated with storage management functions of VMware and Microsoft applications. For instance, the LeftHand Remote Copy feature enables centralized backup and disaster recovery on a per-volume basis and leverages application integrated snapshots for faster recovery. Zero to VSA Automated Installation: Simple and quick wizard driven installation. Scriptable installs allow automated repeatable deployment of VSA configurations. Installs easily on any vSphere or Hyper-V server: This includes over 100 HP ProLiant rack and server blades. No external SAN required: Creates shared storage out of internal or external disk capacity (DAS, SAN; FC or iSCSI). Simplified management: All StoreVirtual VSA nodes in your environment, onsite or across multiple sites, are managed from the Centralized Management Console (CMC) for simple, easy-to-manage storage. The CMC features a simple, built-in best practice analyzer and easy-to-use update process. Try it for free: You can download a full-functional copy of VSA and get some hands-on time to see how easy it is to use. What's in the box Includes copy of SAN/iQ Software media and documentation and (1) P4000 VSA License. Stock-able by the channel. For cost-effective upgrading or extending of your standard warranty, HP Care Pack Services offers a suite of standard reactive hardware and software support services that are sold separately, or combined, as with our Support Plus and Support Plus 24 services. The portfolio also provides a combination of proactive and reactive services, such as Proactive 24 Service and Critical Service. In addition, with HP Proactive Select, we offer an innovative approach to service delivery that gives you the flexibility to acquire the specific proactive services you need today, then add services as your needs evolve. HP Proactive Select offers a broad set of technical or per-event type service options—including server, storage, and network; SAN device and software; environment, installation, and education services. Services that you can mix and match depending on your specific requirements, from preliminary planning and equipment delivery to installation, configuration, integration, and testing, through every level of ongoing support. Our HP Care Pack packaged services for storage helps assure when you need it most. And for many products, post-warranty HP Care Pack Services are available when your original warranty has expired. HP Storage Services offers a full spectrum of customer care, from technology support to complex migrations to completely managed services. HP Factory Express provides customization, integration and deployment services for turnkey solutions. HP Education offers flexible, comprehensive training on storage networking, disk storage systems, and storage software to help your IT staff get the most out of your investments. And HP Financial solutions extend innovative financing and asset management programs to cost-effectively buy, manage and eventually retire your older equipment. HP Storage Services, the trusted business technology experts who manage your technology in action—because when technology works, business works. Gain the benefits of a SAN without requiring a physical SAN infrastructure as StoreVirtual VSA turns hypervisor attached storage into a virtual iSCSI storage. Take advantage of advanced hypervisor features such as VMware vMotion and Microsoft Live Migration, which require shared storage. Enables a disaster recovery solution for remote or branch offices that do not have budget, space, or power for a traditional SAN. HP StoreVirtual VSA includes three-year HP Software Support, standard 9x5 business hours phone support (software technical support and software product and documentation updates), and a 90-day media replacement-only warranty. Including software updates and comprehensive support enhances the performance and availability of your software. Experienced Response Center engineers provide trustworthy advice on issues such as software features and use, problem diagnosis and resolution, and software defect identification. License keys enable all features of the HP StoreVirtual VSA, including storage clustering, managed snapshots, and remote copy. The full 10 TB capacity of each VSA is available with the standard license key. 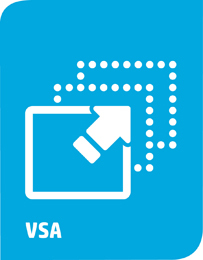 Keys are required for each individual VSA instance. These days, you need to get the most out of your storage investment—you can't afford not to. When you buy HP storage products and solutions, it's also a good time to think about what levels of service and support you may need. To help take the worry out of deploying, designing, maintaining, and managing your environment, we've designed a portfolio of service options that are as flexible, reliable, and scalable as your storage. Unlike storage-only vendors, we take a holistic approach to your entire environment, bridging storage, servers, blades, software, and network infrastructures with our HP Care Pack packaged services for storage. When it comes to robustness and reliability, standard warranties on today's computing equipment have matured just as the technologies have matured. Even though standard warranties have shown good results, depending on such warranties alone can lead to potential problems and subsequent consequences. Standard warranties protect against product defects and some causes of downtime—but not the business. By using a standard approach to warranty uplifts, such as HP Care Pack Services, you can reduce downtime risks and be more certain of operational consistency for both mission-critical and standard business computing. Simply put, HP Care Pack Services normalize the warranty of combined products—helping you proactively guard against unplanned downtime. If none of our support recommendations meet your needs, we can tailor a service solution for your unique support requirements. Only HP brings together deep expertise, proactive and businesscritical support, and a strong partner network—plus, a full set of infrastructure services designed to power a converged infrastructure. Download the HP StoreVirtual VSA Software Datasheet (PDF).